Comments: This trade paperback has no creasing of the spine. No writing. Crisp, clean pages. Minor signs of wear. CD included. Smoke-free storage. 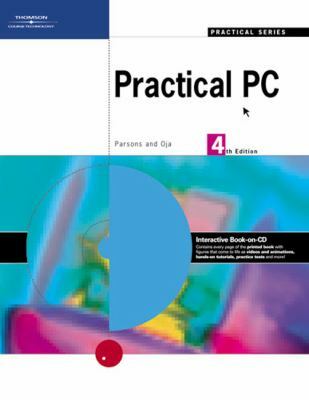 A part of the Practical series, this text offers an engaging, interactive approach to teaching PC concepts.Parsons, June Jamrich is the author of 'Practical PC', published 2005 under ISBN 9780619267995 and ISBN 0619267992. Loading marketplace prices 7 copies from $5.98 How does the rental process work?